Climate change, one of the biggest challenges facing our societies, impacts increasingly on our communities locally and across the world. While the UK government together with other nations work on crucial political agreements to mitigate against the worst effects and finance adaptation efforts, there is a need to develop the knowledge and skills, particularly amongst young people, to prepare them for the different worlds that they—and their children—will face. But teaching climate change presents a huge challenge. It is a complex issue and can seem abstract and, because it is scary, it may make people feel overwhelmed or hopeless. 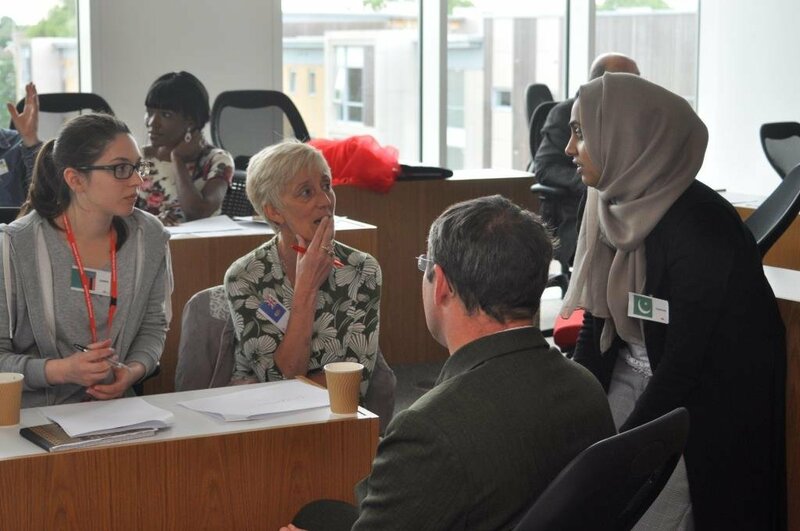 In response, a dynamic approach which nurtures learning about the climate system, the causes, impacts and responses to climate change was piloted as part of the University of Bedfordshire Annual Conference. 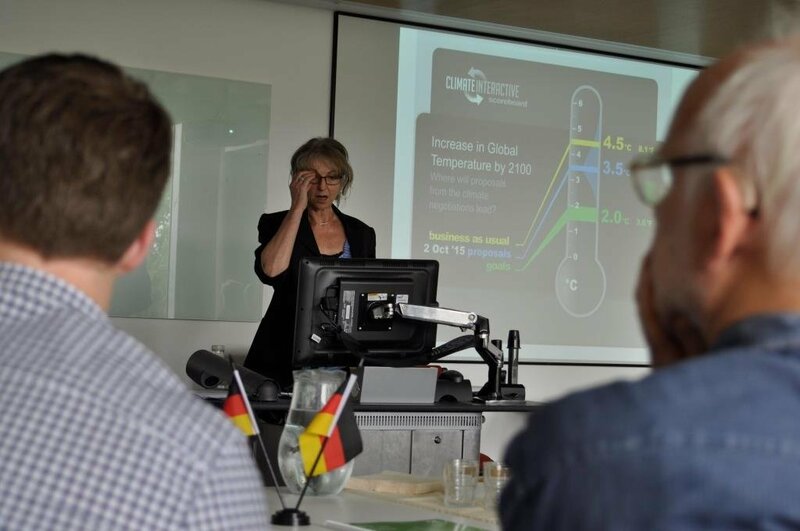 The World Climate event, a model of UN Climate Change negotiations, was organised by Centre for Learning Excellence (CLE) at the Bedford campus on 7th July. It aimed to identify the learning that emerges from simulating the buzz and high pressure of negotiations and advocacy involved in reaching international agreements. Elsewhere in the UK and beyond, schools and universities organise these model UN events which involve assigning participants to represent different countries and negotiating blocs. They provide students the opportunity to practice debating, teamwork and leadership skills and to gain knowledge about many topics such as climate change, forced migration or regional peace. 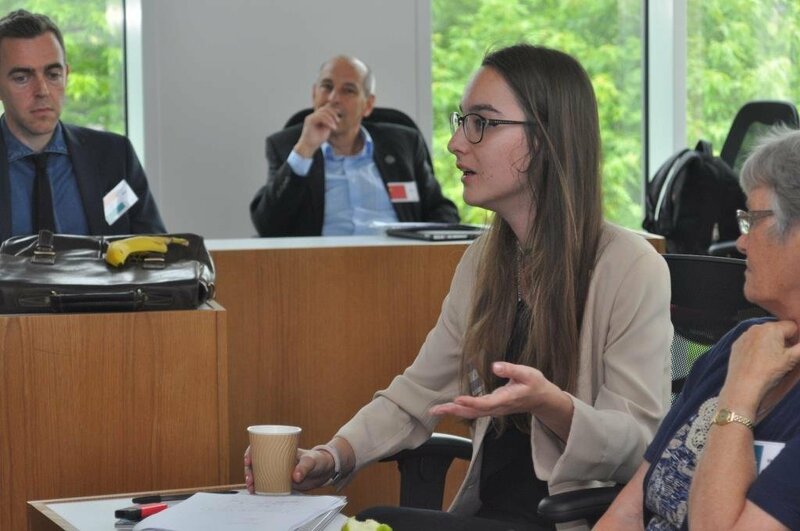 To analyse the results of the mock negotiations, the event incorporates the use of state-of-the-art software, C-ROADS, developed by Climate Interactive and MIT Sloan School of Management. This helps participants to see in real-time, the impact of their decisions. The event took place in the Gateway’s Harvard Lecture Room, effectively inaugurating the debating room for the purpose for which it was designed. Thirty people, including a rich mix of three distinct groups—students (pre-university, undergraduate and postgraduate); university staff; and members of the community primarily from the Bedfordshire Climate Change Forum (BCCF), and one member of the United Nations Association (UNA)—were present. Participants took their roles seriously. Some claimed that “the role-play was so real and absorbing”. One staff member reported that he had never felt “more emotionally invested in this than any previous learning experience”. Many emphasised how challenging the learning experience was, with Sarah Kerr, a Biddenham school leaver, commenting that “this was the most I have ever had to think in my entire life”. Participants also gained understanding of different national priorities. In the words of one, this forced him “to empathise with the different and poorer nations and to better understand their distinct development priorities and needs”. The event also enabled participants to reflect on teamwork and leadership qualities. Regarding climate change, the words of this participant were typical, “I realised the situation is more serious than I had thought and that immediate actions are needed”. A life sciences undergraduate Joana Andrade stressed that, “all students need to know about the reality of climate change”, similarly others noted that they were now “hungry to learn more about it and what I can do”. 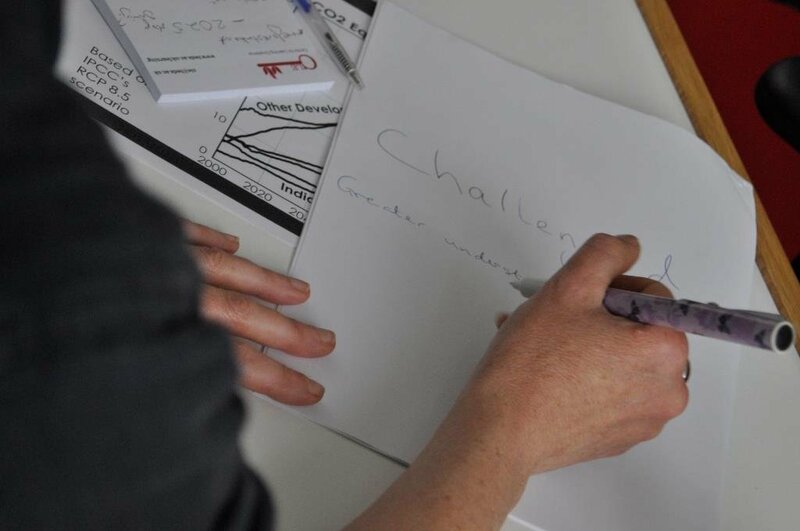 Rather than be overwhelmed, many identified actions they would like to follow up, and some were left with a sense of “feeling connected to others” through the possibilities that community engagement and collaborative work offers. The UK’s Met Office and UK universities are amongst the many reputed organisations internationally, including NASA, which document climate change trends. All ten of the warmest years ever recorded have occurred in the past twelve years, the sea level is rising and forest fires are becoming more frequent and extensive—as we saw in the recent enormous fires engulfing towns in Canada and Australia. Flooding will continue get worse, as we have seen this year in Bedfordshire; indeed, the official East of England report, warns that 250,000 properties are at risk, representing 8% of homes, offices and warehouse. While climate change deniers may indulge in the company of those who still believe the earth is flat, a more proactive response is to promote understanding about climate change to prepare young people for the policies, economies, job opportunities and community initiatives that are associated with a low carbon future. 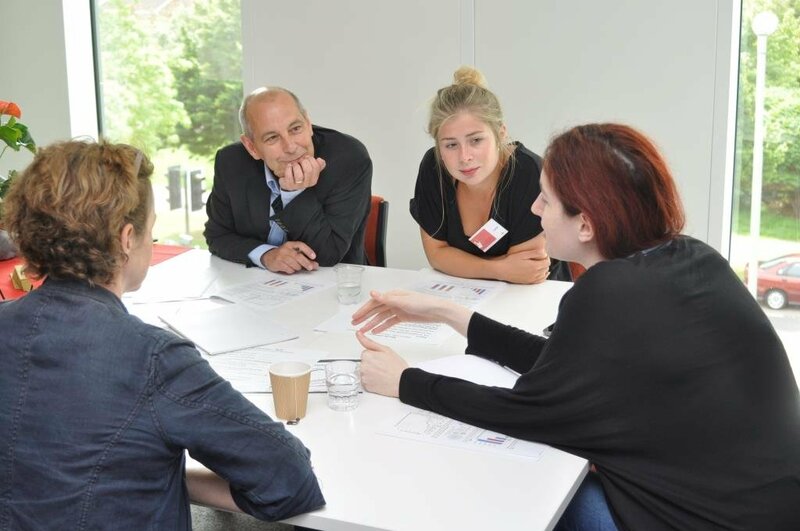 “In this sense”, stresses Dr Diana Pritchard, who took the lead on this event, “such activities contribute to both the employability agenda of the University, as well as serving to develop responsible global citizens”. The feedback and evaluations of the event validate that World Climate clearly offers an engaging and interactive activity which generates profound understanding and insights about global negotiations and the world climate system, and increases motivation to get involved or influence policy making. Dr Pritchard concludes that this is “clearly a powerful curriculum activity for university lecturers and school teachers with scope for replication for many groups and other issues.” In light of the event’s success, plans are underway to extend World Climate as a curriculum offered in undergraduate and postgraduate courses while ways to involve schools and colleges or other sectors will emerge. UK Climate Change Risk Assessment (2012) Summary of Climate Change Rise for East of England. See next blog of a pictorial of the World Climate event. Dr. Diana Pritchard has been recently been appointed a World Climate Ambassador. You can read more about her work here.